These beautiful Roman glass beads are precious fragments that date back about 2,000 years to ancient Rome. 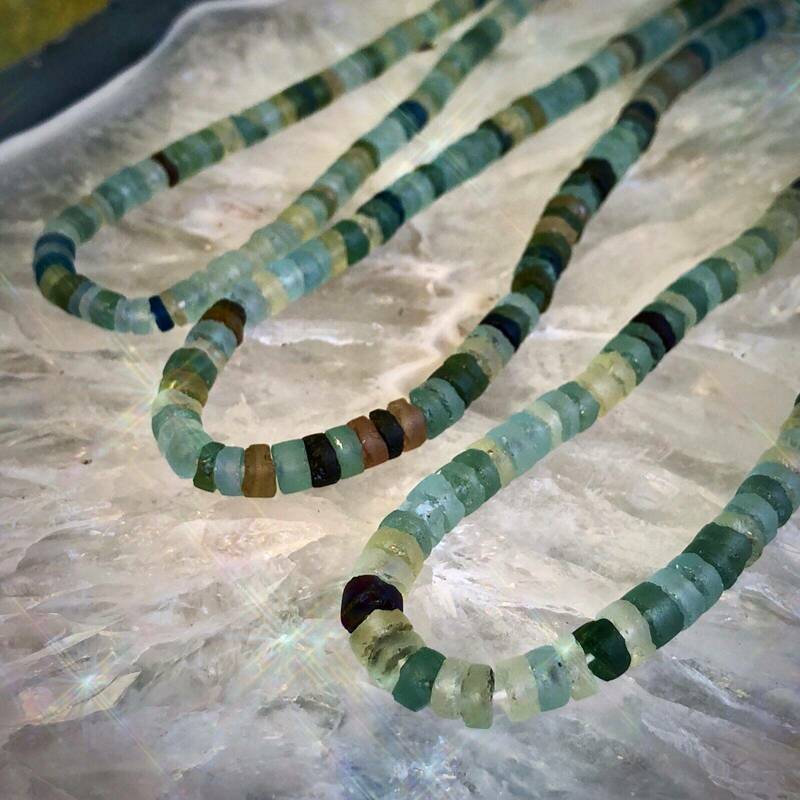 Excavated at modern archaeological sites throughout the Mediterranean basin, these polished beads are now strung on a convenient strand for your use. The stunning shades of oceanic blue and teal invoke the mysteries of the Mediterranean Sea. And just think of all the history that’s contained within this offering – broken pieces of primordial wine bottles, vases, and water jugs. Centuries-old relics of human life nearly lost to ruin, but now repurposed as something magical. 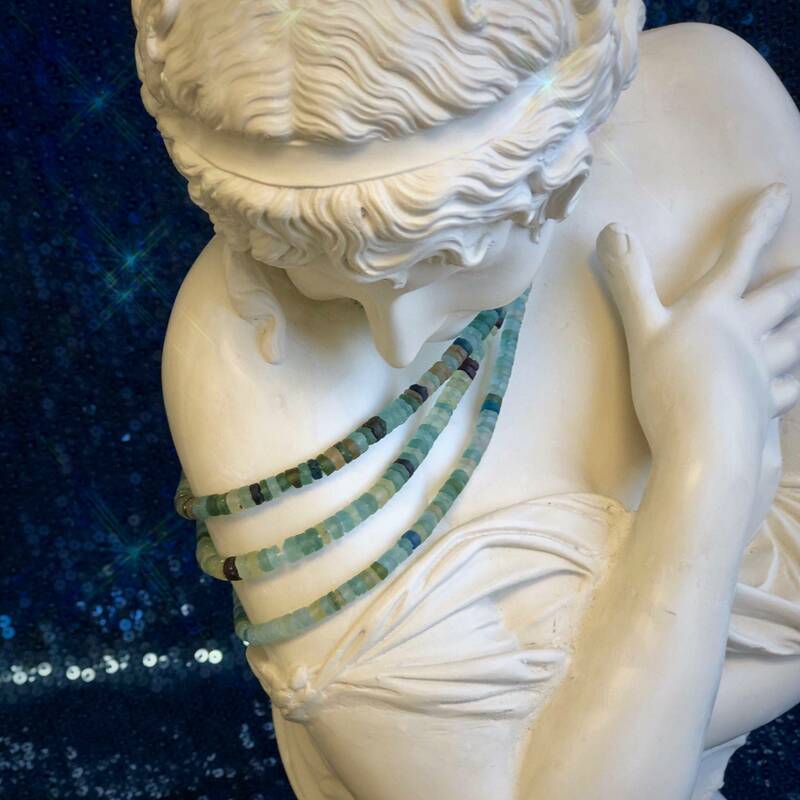 Use your strand of Roman glass beads to create your own jewelry. 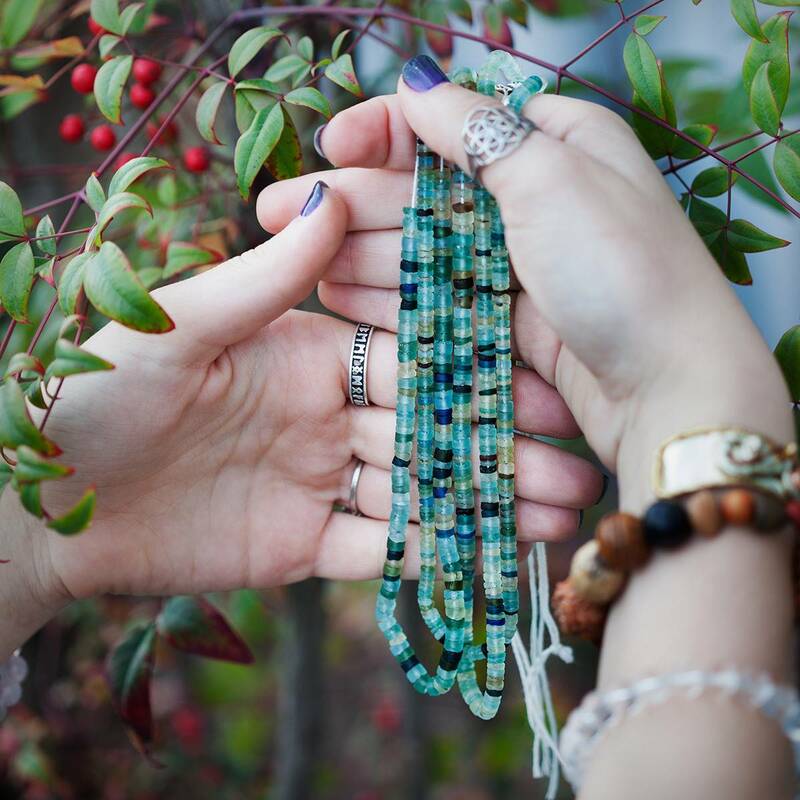 Necklaces, dangly earrings, bracelets, and anklets – so much magical adornment to be fashioned from these colorful little pieces of culture and history. Gift your creation to a sister or wear it yourself proudly as you channel the ancient Roman goddess within. Are you Juno, Venus, Minerva, Bellona? Who calls to you from the Roman pantheon? Whomever it is, invoke her magic and beauty with this offering. This listing is for one (1) strand of Roman glass beads, about 15″ in length (each bead is about 0.2″). Yours will arrive lovingly parceled for your enjoyment and delight.